Martinsville, IN (5/30/2014) – The World Off Road Championship Racing Series (WORCS) and the Mid America Cross Country Racing Series (MAXC) are pleased to announce they are joining forces to create an expanded racing series called WORCS MAXC to create the first true National Racing Series. Starting in 2015, the WORCS series will have an East Coast (WORCS MAXC) and a West Coast Racing Series (The original WORCS Racing Series). This will give WORCS offices in Utah, Washington and Indiana. For the East Coast rounds, WORCS will be partnered with the fast-growing Mid America XC Racing Series in the Midwest. 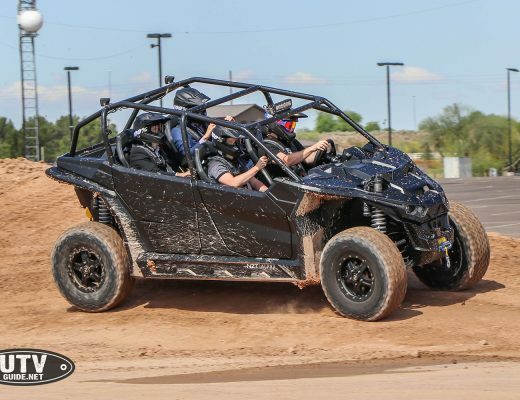 “The plan is to bring the WORCS two day format to the MAXC Series and we would also like to bring the shorter GP formats and our class structure to the series as well include Friday practice sessions if needed,” says CEO of ORS LLC Sean Reddish. The WORCS Racing Series on the on the West Coast will remain the same with the exception of a few small adjustments in the Pro UTV classes so more champions can be crowned. However, the WORCS MAXC Racing Series will have the same well organized family friendly atmosphere along with a few new changes including a two-day format and a GP style track layout with racers competing in an optional two days of racing. ATV and Motorcycle classes will run on both days and there will be several classes on each day designated by age, skill level, and displacement. This gives racers the opportunity to sign up for multiple classes and also have the opportunity to advance / qualify for higher skill level classes. By using this racing format, it gives racers the ability to compete for several different class championships during the same racing season. With the growing popularity and racing coverage each racing series receives, both WORCS & MAXC promoters felt that their knowledge and experience hosting off-road racing events have created a great opportunity to come together to grow the sport off road racing throughout the nation. As of now an East / West shootout is in the plans, but only time will tell if the shootout will take place in 2015. Either way, the exciting WORCS Off Road Racing Series will be present coast-to-coast drawing in the best off road racers in the country and around the world. So what does this mean to the racer? More Racing and WORCS #1 plate to be earned. There will also be more contingency opportunities as well. Is WORCS and WORCS MAXC the same series? No, they are two totally different race series running on separate coasts. Will there be one Overall National Champion? By 2016 the answer is Yes. There will be a Pro ATV, Pro MC and Pro SXS. What is the new race format like? How long will the races be? The WORCS MAXC races will be 1 hour long events for most amateurs and 2 hours for the Pro MC and ATV. How long will the tracks be and what will be tracks be like? Most of the tracks will be anywhere from 7-10 miles long and will be designed with GP style in mind. The tracks will consist of woods with multiple lines for passing, motocross, open field sections, as well as technical endurocross sections. Can a racer sign up for multiple classes? Absolutely, racers can sign up for as many classes as they like depending on their age, machining, and time constraints. What classes will there be? Basically, if you own a bike, ATV or SXS you can race it at WORCS. ATV’s and Bikes will all have two classes to ride over the weekend. One on Saturday and One on Sunday. Each earning a shot at their own National Championship. What will the courses be like? In the first year the biggest difference will be the fact that you can race two days instead of one. SxS course will be SxS oriented. WORCS is known for having the largest SxS turnouts anywhere and that is because the courses are designed specifically for them. Will the West Coast WORCS crew run the races? No, The West Coast WORCS crew will just assist the WORCS MAXC Series and their crew on an as needed basis. We are working closely together to make sure the racers get the most out of every weekend. Where will the races be? Our 2015 schedule is not complete, but we are looking at tracks in numerous states from Northern Florida to Michigan.